what a rainy weekend we had. the bad? terrible picture weather. in addition to being rainy, it was humid and hot. the good? i saw two musicals which i'll share with you this week. 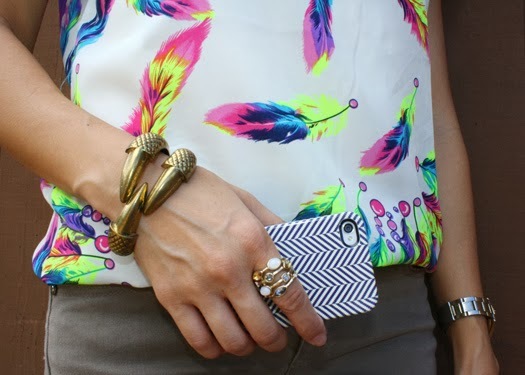 i loved the feathers and bright neon colors in this top from Persun. it's one of those dressier-than-a-tee shirts that is easy to wear and works well with everything from shorts to denim to pencil skirts. paired it here with a neutral denim which, coincidentally, had neon cuffs. 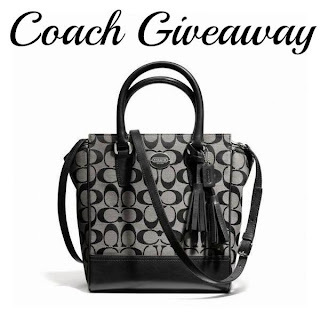 love luxury brands and designer collections? 6 seconds could win you $6,000! LAST DAY to get those videos in for a chance to be [internet] famous! check out the #6SecondsFlat sweepstakes page for details. tag your videos with #6SecondsFlat AND #oomph6. more and more prints have been finding their way into my wardrobe lately. and since my closet is usually a sea of solid blacks and grays, this works out nicely. 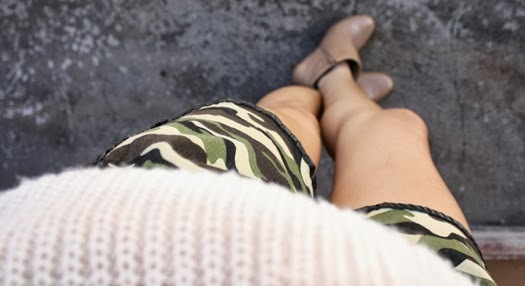 this is the other camouflage piece from Patty's Closet i was talking about. i think the [faux] leather trim is an oomph-worthy detail that allows these otherwise casual shorts to be dressed up. just as there are wardrobe staples, there are accessory staples. 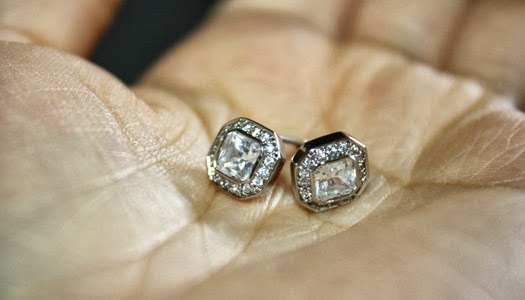 two kinds of earrings that are a must-have in my jewelry collection are simple hoops and studs. my daily grind of work and kids' activities doesn't warrant the use of big, elaborate earrings (i save those for nights out), but i will always reach for basic hoop earrings or stud earrings in gold or silver. they are the finishing touches on a casual outfit and the perfect fillers for your bare ears when you are wearing a statement necklace. while i'm wearing them here with shorts and slippers, i love that these pretty, square-cut studs from INPINK have enough shine and detail for a formal evening out. i picked up these shorts from Patty's Closet a few weeks ago when they were having their 20% off labor day sale. i usually prefer cuts and fabrics that are a little more sturdy and structured (like denim! ), so this was something different for me. mini-she says they look like pajamas, and i'm ok with that! 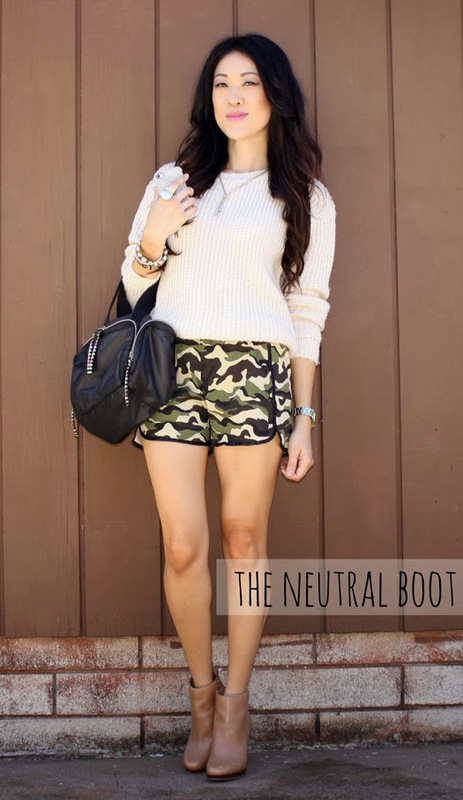 crazy for camouflage, that is. the team at Patty's Closet in Windward Mall probably thought i was crazy for choosing a bunch of camouflage items, but they were too fun to pass up. leggings are tricky (i wrote about them here), but this one passed my test with its studded detail at the knees and busy pattern which camouflages, haha, unsightly bumps and bulges. 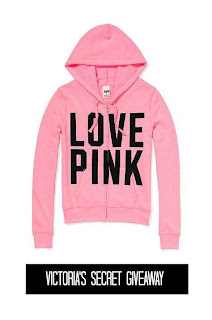 plus, it seemed appropriate for all the chilly, big-sweater-and-leggings kind of nights soon to come. stay tuned for another fun camouflage piece coming up later this week. stay in touch with Patty's Closet to see all of their new arrivals and join their text club to receive exclusive discounts. text 'pattys' to 75309.
i survived the 5-birthdays weekend, but it was enough to make me hit the treadmill again. i'm happy to report that i'm back to my midnight runs. wanna be [internet] famous? there's still time! check out these hilarious videos, then submit one of your own. tell Wendy's what you think about their flatbread chicken sandwiches in a vine or instagram video, and you could win $6,000! make sure to tag them with #6SecondsFlat AND #oomph6. winners chosen at random each week. visit the #6SecondsFlat sweepstakes page for more info. 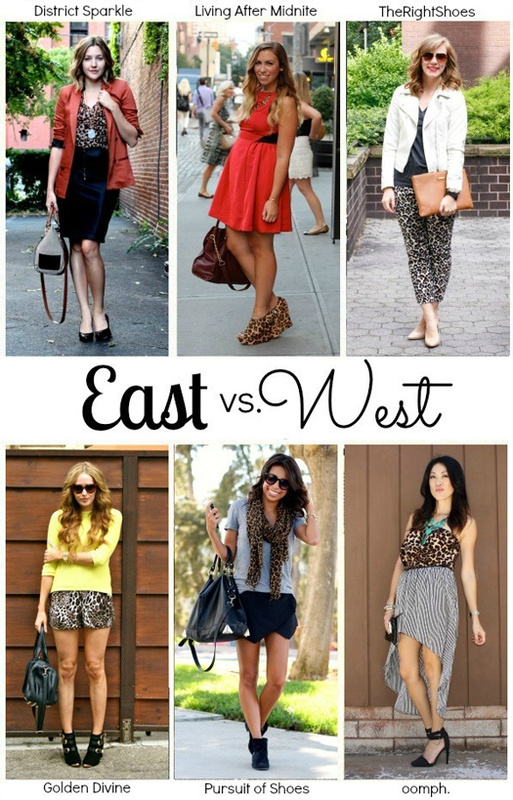 welcome to week two of east vs west style. 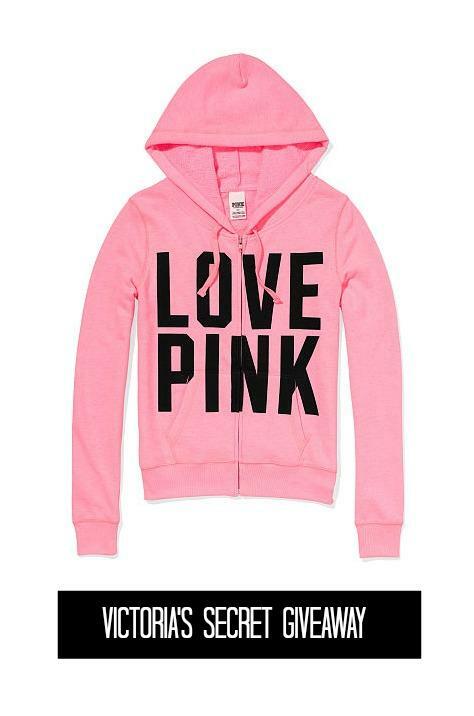 do-able in our warmer temps. i couldn't wait to see how the rest of the ladies styled their jackets...i love how there ended up being a mix of dresses, shorts, and pants. while i generally feel it's too laid back here to wear [short] shorts + heels during the day, i've always made an exception for this leather pair. 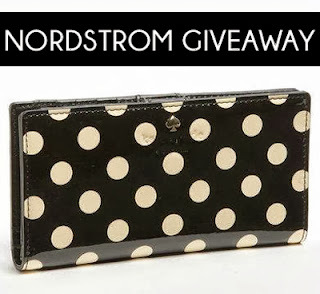 welcome to the Nordstrom giveaway. are you in need of a little "me time" as we step into fall? then this is the perfect giveaway for you. 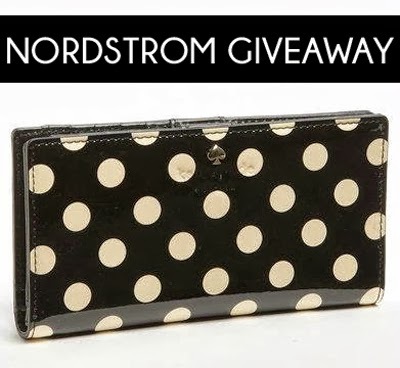 one lucky winner will receive a $100 gift card to shop for designer collections and luxury brands at Nordstrom. sponsors: Smart School House, This Mama Loves, [oomph. ], Joyful Scribblings, Whatsername Jewelry, A Helicopter Mom, Keenly Kristen, Military Wives Saving, The Consumer Adviser, Oh My Gosh Beck! every morning, there's a few minutes after i get into my car where my mind drifts off, and i think about stuff. maybe reflecting on something i did, or what i have to do later, things that make me smile, or things i'm worried about. it's like i'm in a bubble and everything around me is on mute. and then i realize, "hey, i can't hear the music!" when is your moment of reflection? 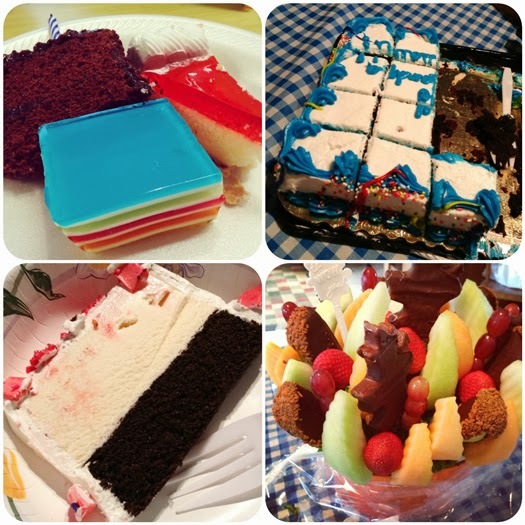 i usually make 5-layer or 7-layer jello. 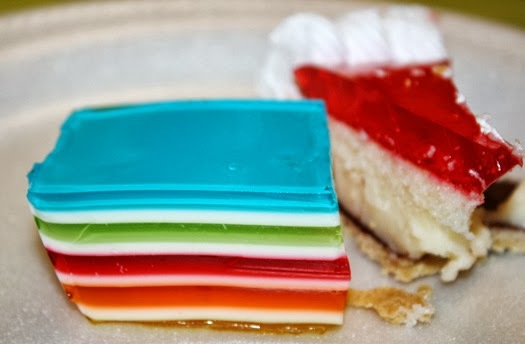 i think my co-worker was showing off with her 9-layer jello! of thanks for successful crops. 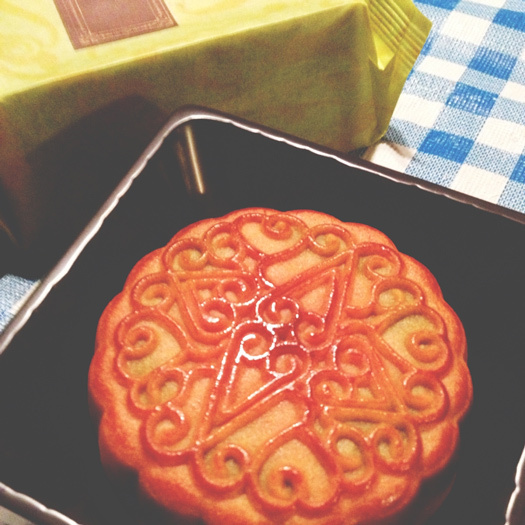 - round shape of the mooncake symbolizes reunion of family. eating mooncakes together with family and enjoying the moon at its fullest is an important part of the festival. 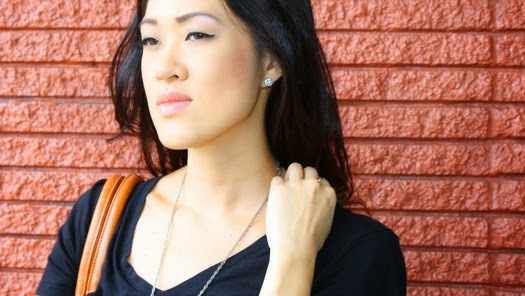 wearing another great Patty's Closet [Mililani] find. it was a toss up between a grey leopard print blouse and this tiger top. tiger won. 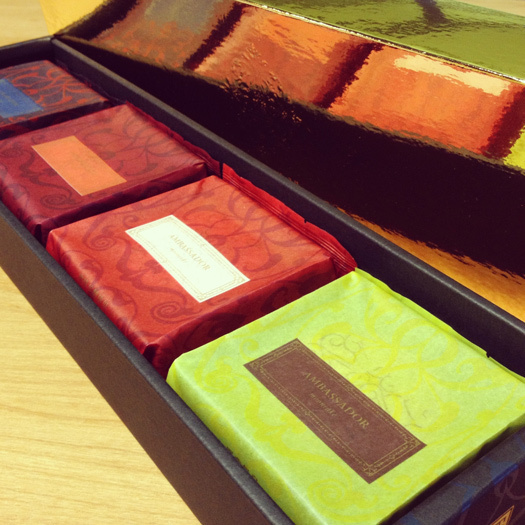 ambassador green tea & red bean mooncake. try Wendy's Flatbread Chicken Sandwiches and tell us what you think in a 6 second vine or instagram video. tag with #6SecondsFlat AND #oomph6 for a chance to win $6,000! more details on the #6SecondsFlat sweepstakes page. with regards to personal style, i think it's important to take risks...dress outside of the box, as i like to say. otherwise, we never change; and change is good. take this cardigan from Patty's Closet, for instance. while i loved the [faux] leather trims and zipper details, the idea of a long in front, cropped in back style never really appealed to me. i tried it on anyways with an open mind, and to my surprise, i liked it. here's why it worked for me: i'm short. the cropped back elongates by showing off the entire length of my legs while still giving the illusion of a longer style in front. to further elongate, i threw on these tall platform boots from JustFab. new favorite cardigan in doing so. comes to your personal style? what did you try that was different from your norm? 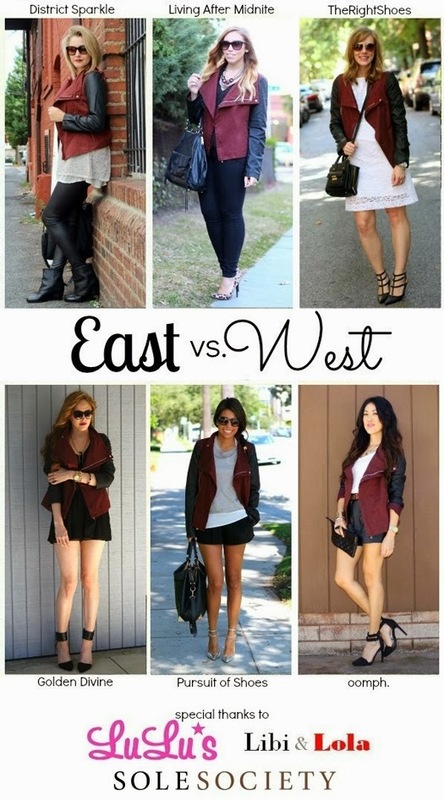 welcome to the east vs. west [coast] style collaboration. we had so much fun with the summer collaboration, that we're back to share our takes on four fall trends. as always, it'll be interesting to see how lifestyle and location influence style across the states. we're starting off with one of my favorites, leopard. hope you take the time to visit these stylish ladies. 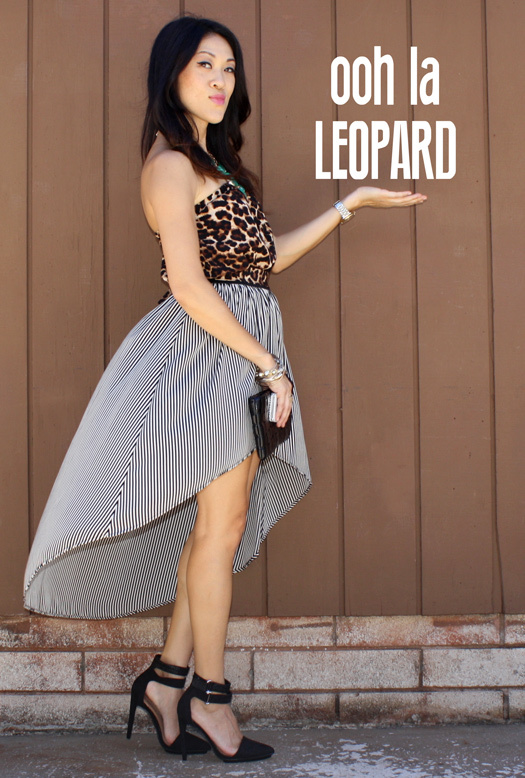 i decided to give this leopard romper a fun spin by pairing it with a striped skirt. the romper's belt, tied like a sash, was wide enough to cover most of the skirt's black waistband...gives it a more seamless look. 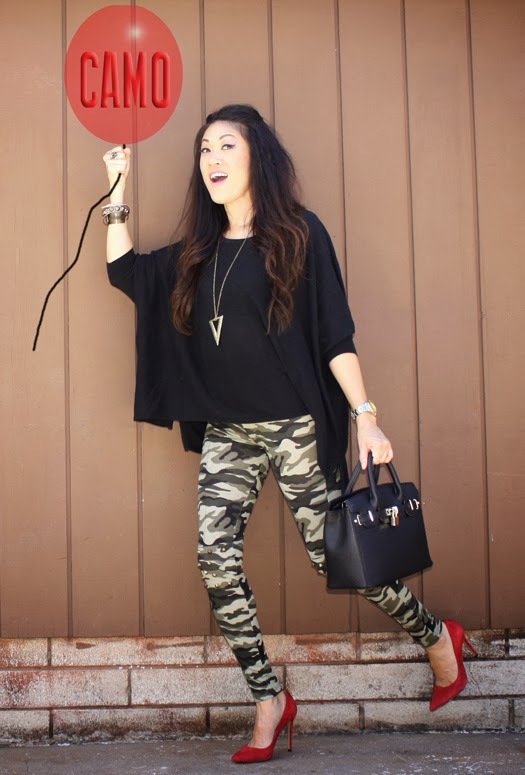 completed the look with an emerald necklace and these ah-mazing shoes from JustFab. 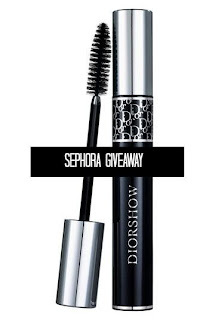 have you entered these fabulous giveaways?